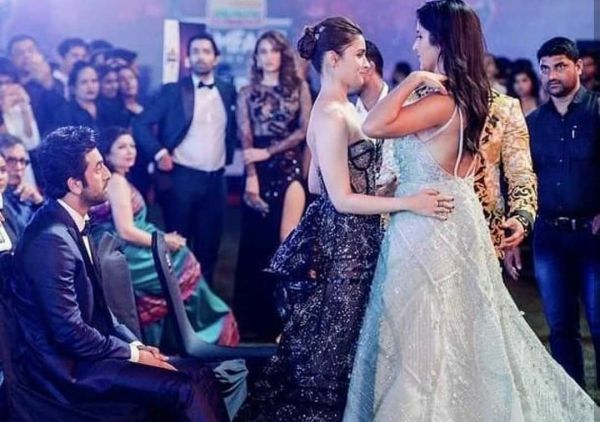 The Ex Factor: Awkward Moments From The Recent Award Show Prove B-Town Is Just So Weird! If Bollywood's definition of 'living together in harmony' is all about going everywhere with your current partner while your ex sits next to you, then I'm sorry, it is weird. And just plain uncomfortable. 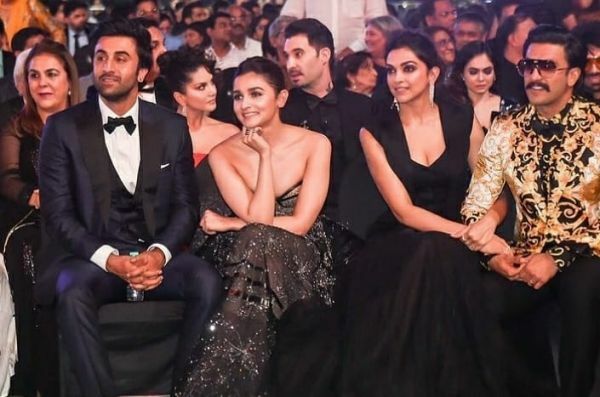 Last week, we talked about how there's a love rectangle going on between Bollywood actors Ranbir Kapoor, Alia Bhatt, Ranveer Singh and Deepika Padukone during the Zee Cine Awards 2019. And after the Filmfare Awards this weekend, we are almost sure that it's not just a theory but a legitimate thing now. The only difference is that now there's Katrina Kaif added to this scenario. A love pentagon, if you will. Why must you all sit together? Always! Everywhere! Ranbir and Alia are currently dating. Ranbir and Deepika were in a serious committed relationship once upon a time. Deepika is now married to Ranveer. Ranveer and Alia are good friends. Alia and Deepika are apparently besties now. 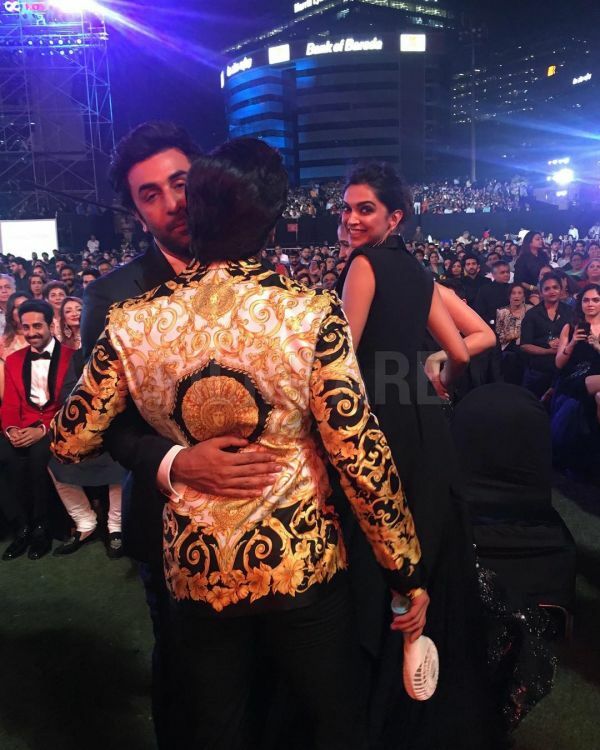 And Ranbir and Ranveer, too, are hug buddies. No, no! That's Vicky Kaushal, not Ranveer Singh (phew). Vicky posted this picture on his Instagram story and wrote, "Goals AF" while indulging in some bromance with his Sanju co-star. See, didn't we say, hug buddies! 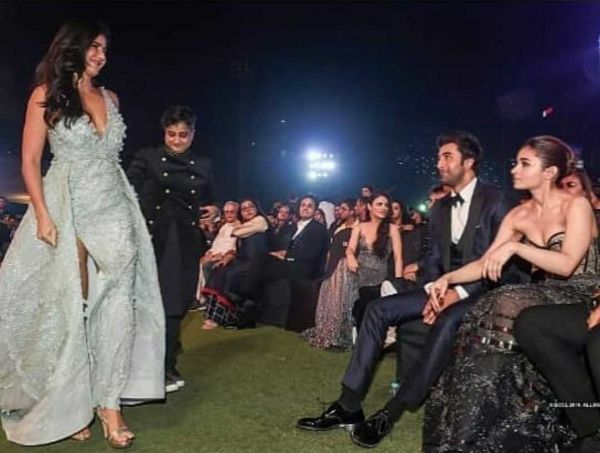 That's Ranbir and Ranveer, and Deepika and Alia. Our favourite part about the picture is Ayushmann Khurrana's priceless expression. LOL! We have a meme fest going on in our heads right now. Fifty points for capturing Ranbir's expression. Here's Katrina greeting her ex-boyfriend and his new girlfriend, who is also her ex-best friend, BTW! 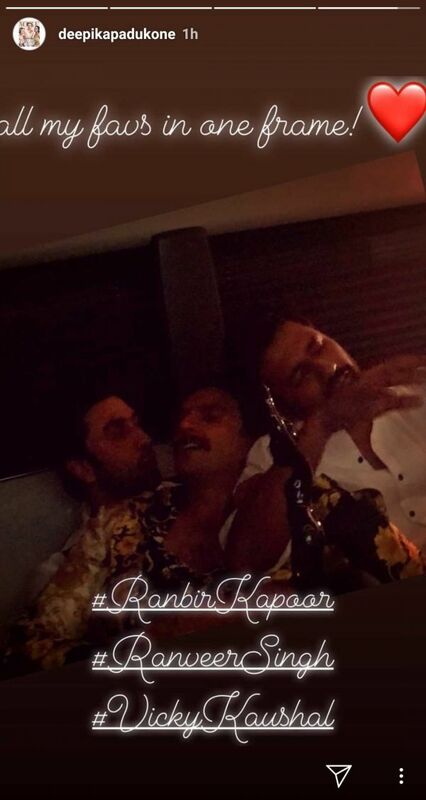 The actress took to Instagram stories and posted this candid shot of all her favs in one frame including ex-boyfriend Ranbir, husband Ranveer and Vicky. All of them including Alia, Karan Johar and Shah Rukh Khan were hanging out in a vanity van post the awards. Karan even tweeted Ranbir and Ranveer's dance on First Class from Kalank. Deepika and Ranbir also did a TV advertisement together for Asian Paints recently. As for Ranveer and Alia, the duo will be seen sharing screen space for the second time after Gully Boy in Karan Johar's Takht. Deepika is currently working on her next which is Meghna Gulzar's Chhapaak. 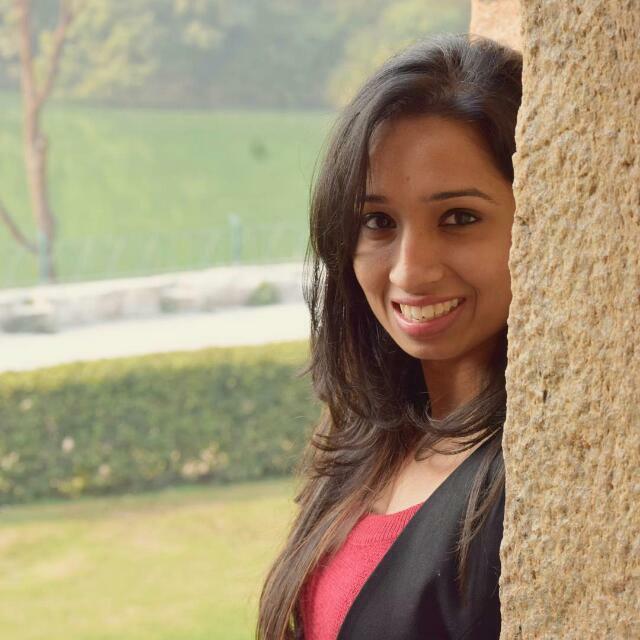 She just shared her first look from the film as Malti, an acid attack survivor. Ranbir and Alia are all geared up for Brahmastra which is set to release in December this year. Katrina just wrapped up the shoot for Bharat, which will also be starring her ex-boyfriend Salman.